India Start Up is a platform only for display of offers/ servicesprovided by third parties to RBL Bank's customers. 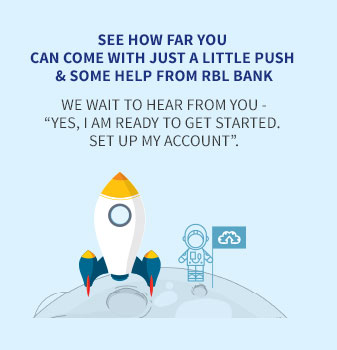 RBL Bank is hosting the India Start Up purely for the convenience of its customers to display the offers extended by third parties to RBL Bank’scustomers. The Services are being offered solely by the third parties and RBL Bank is not rendering any of these Services. RBL Bank is not undertaking the business of providing services by hosting the India Start Up platform. RBL Bank will not earn any commission or any other fee upon its customers viewing the offers made available by third parties or availing of services offered by third parties, except the customary considerations for use of payment gateway facility. The customer is free to avail such services from any other sources/ platforms by using any other payment mechanism. RBL Bank is merely facilitating the payment to its customers by providing the payment gateway services. By hosting India Start Up platform, RBL Bank is neither guaranteeing nor giving any warranty nor making any representation with respect to the offers/ services made by third parties. RBL Bank is neither endorsing third parties/ services nor responsible for quality of the services under the offer of third parties. Any information on India Start Up website or about third parties or services being offered by third parties has not been verified by RBL Bank. RBL Bank shall not be liable or responsible for any such information/ services. RBL Bank will not bear any obligation or liability if a customer avails such services of third parties. If the customer choose to avail any services of third parties, RBL Bank will neither be a party to nor in any manner concerned with such services of third partied nor be liable or responsible for any act or omission of third parties or the customer. All service related queries/complaints will be addressed by the respective third parties only. It is understood that in availing services from such third parties the customers/ persons so availing deal with such third party directly. No matter how you like to do your banking, we have it! Never miss your bank branch - bank from your laptop. Control of your account is now in your hands, wherever you go you’ll be able to do everything yourself, but if you need us, our friendly team will be on hand to help you through. The banking basics have been re-imagined and all features you seek from a bank re-thought, as we make them and thus, have made them smarter, less complicated and easily accessible. 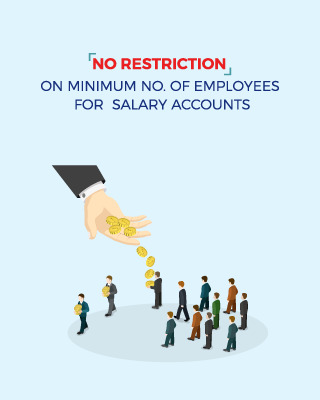 A perfect salary solution for startups with no restriction on minimum number of employees, easy account opening and attractive interest rates. Choose RBL Bank Savings Account and start earning more interest. Customized payment and receivable solutions for any type of transactions capable of handling large volumes. Pay your direct and indirect taxes online. 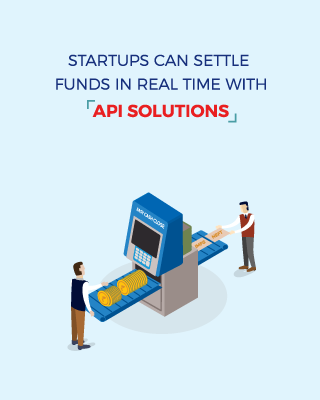 API is lightning-fast technology, designed to achieve quickest response. 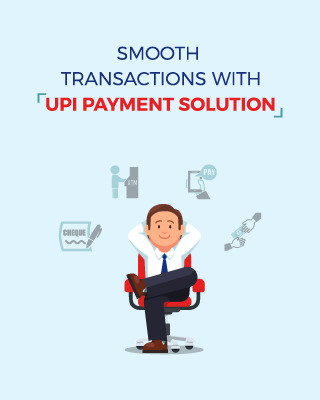 RBL Bank offers API’s that are designed to manage large payments and receivables real time and cover wide range of work requests ranging from generating account statement at the click of your fingertips to single or salary payments and more. Apart from supporting a work request in a respective system, it reduces the burden of maintaining separate tools and their respective costs resulting in operational efficiency. Xpress Remittance service enables foreign remittance at zero charges with our global correspondent bank network. Packaged solutions with doorstep trade services ensure smooth foreign trade transactions. We believe in your prosperity. That’s why RBL Bank as a corporate agent offers a range of services – to ensure you prosper over the long term. We also offer a range of Life, Health and Retirement solutions through our Insurance partners. With the MasterCard Easy Savings Program get cashback on spends on a large network of merchants when you travel to US. 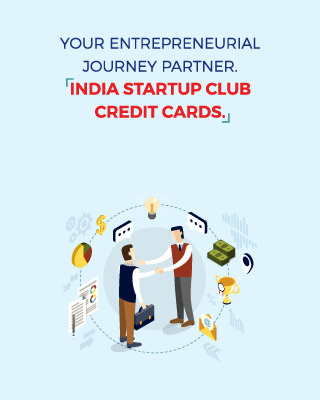 Get off the burden of mundane tasks like office registration, finding office space amongst others.India Startup Club is pushing the frontier for ‘Banking beyond Banking’ for the startup community; affordable solutions offered by our alliances have the essentials you need to build and grow your business. Companyji.com is an online portal of Smart Business Solutions, India’s leading Company Formation Consultant with over 2000+ company registered. It assists Start-ups & Entrepreneurs in Tax Advisory & Registration Services, Book-keeping & Accountancy, Statutory Compliance and taxes. My Cute Office helps you save rental cost by using extra office space such as empty desks, unused cabins or meeting facilities within well-maintained offices at 300+ locations. ZingHR provides Startups / SMEs cloud based – HR Softwares for Recruitment, Payroll, Time & Leave Tracking, Performance & Workforce Management. ZingHR connects your workforce through Android, iOS, Windows Apps with GeoFencing, HR Analytics & more. An international media production company that is an innovator in the field of telling corporate stories through Corporate/ Brand/ Product/ CSR/ Training/ Sales /Events videos and films. SalezShark's relationship cloud helps you build long lasting business relationships and enables you to automate your sales and marketing activities. It empowers you to win more customers almost instantly! And so….. You have not let excuses stop you from taking the plunge and following your dreams. Kudos! You’re creating something vital; your innovation is an emerging disruptive idea and you are excited about the potential it has to prove. As an entrepreneur, you are challenged more than you ever have been in your life - Challenges socially, professionally and financially are stringing you out past you ever thought you can deal with. At India Startup Club, we want to spend some intentional time investing in you entrepreneurial journey. We assist you in achieving your startup goals through the many	financial tools, resources and planning techniques available to our team. Delivering on a modern customer experience, nurturing meaningful relationships and adopting a first time right approach for you, is our mantra. You may look to us for what you need, when you need it! You are leaving website of RBL Bank’s India Startup Club website and being re-directed to website of a third party (“Third Party’s website”), at your request. The privacy and security policy of such third party may differ from RBL Bank’s India Startup Club website and may provide less security than RBL Bank’s India Startup Club website. RBL Bank and its affiliates do not endorse, make any warranty or assume legal liability for the product, services, content accuracy or opinions expressed in the Third Party’s website or other links provided on the Third Party’s website. RBL Bank and its affiliates are not responsible for any loss, damage, cost etc. that you may incur in the event of any deficiency in the product or services of such third party, failure or disruption of Third Party’s website, or from any other cause relating to your access to, inability to access, or use of the Third Party’s website.